"A Smoking Party", 1824. The Lewis Walpole Library. We have a new event this spring! On May 12th, we will be pairing fine rums and cigars in celebration of the historic rum trade. As the print above from the Lewis Walpole Library shows, gentlemen enjoyed puffing and quaffing in social situations in the 19th century. 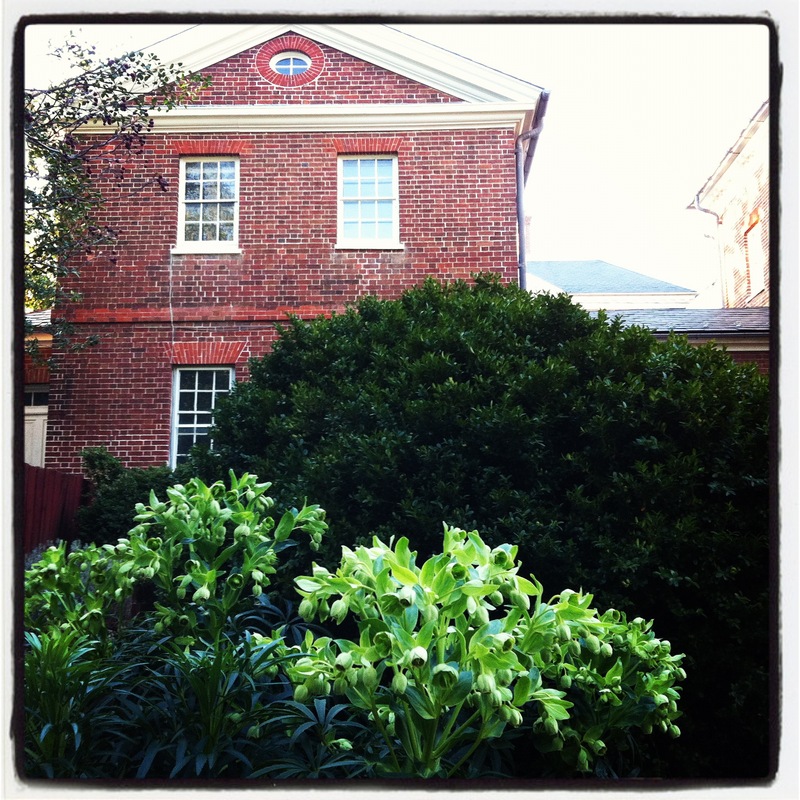 Of course, we will be outside instead of sitting around the Hammond-Harwood dining room! All guests (of age, of course!) are invited to partake in the sampling from 5pm-7pm in our beautiful garden. Please call 410-263-4683 ext.10 for reservations. $60 per person. This year we are participating in the annual Maryland Day, and the focus is kids! In previous years, we’ve had open houses on Maryland Day, but we wanted to enrich the program and provide something fun and unique. 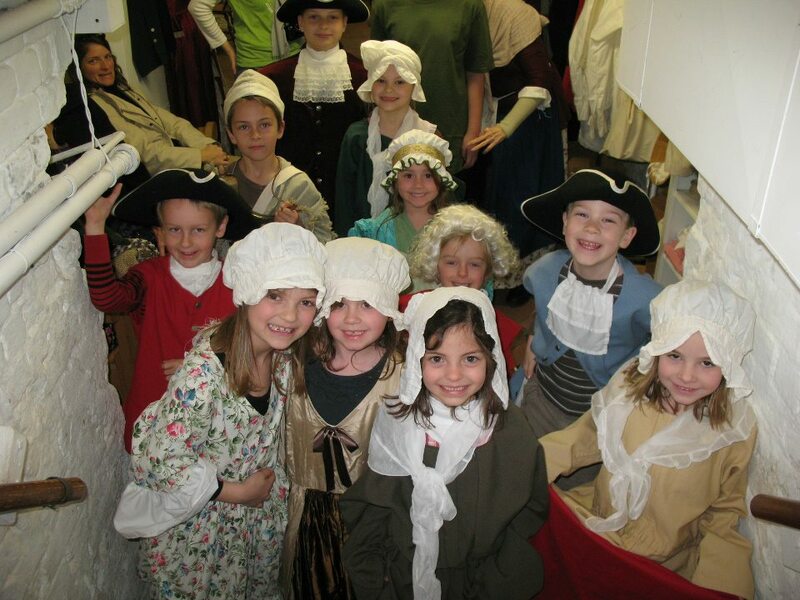 So, for 2012, we are opening our doors to all families and inviting the kids to try on reproduction 18th century clothing as well as learn a little 18th century etiquette. Once your child has mastered their bow or curtsy, they will receive a coloring book and postcards as a reward for their stellar manners. No registration is necessary for this free program, and we can promise lots of smiles (as proof, see picture above!) and a perfect bow or curtsy by the end of the day! I’ve had a long week of paperwork, paperwork, and more paperwork. It’s for a worthwhile reason, but still tedious. Now that it’s Friday and almost five o’clock it’s time to relax. How do I relax? Shoe shopping of course. So, to get inspired for some shopping, I thought I’d show you one of the most beautiful pairs of 18th century shoes I’ve ever seen. These are the ca. 1770 Eliza Pinckney shoes from the Charleston Museum, and I highly recommend you read their blog post about them.